It’s amazing to think that just 10 years ago, flat-rate digital music streaming services were a mere gleam in the eye of industry executives. It was as recently as September 2007 that Rick Rubin, then co-head of Columbia Records, put forward the idea as a way of combating online music piracy and file-sharing. “You’d pay, say, $19.95 a month, and the music will come from anywhere you’d like,” he told the New York Times. As it turned out, he was essentially describing Spotify, which launched just over a year later. He even got the price right. In those heady days, when the pound was a lot stronger, $19.95 was equivalent to £10, which, give or take a penny, is the monthly cost of Spotify Premium in the UK today. But Spotify is yet to make a profit, while plans to float the firm on the stock market have reportedly been delayed, raising a big question mark over its business model. Of course, Spotify isn’t the only streaming platform out there. Others have joined it over the past decade, including Apple Music, Amazon Prime Music and Deezer, as well as high-resolution music services Tidal and Qobuz. But Spotify is seen as the leader, with more than 100 million users, 40 million of them paid-up subscribers to its Premium tier. The Swedish firm is now a major player in 60 countries, including the world’s biggest music market, the US, where streaming accounted for 51% of music consumption last year. 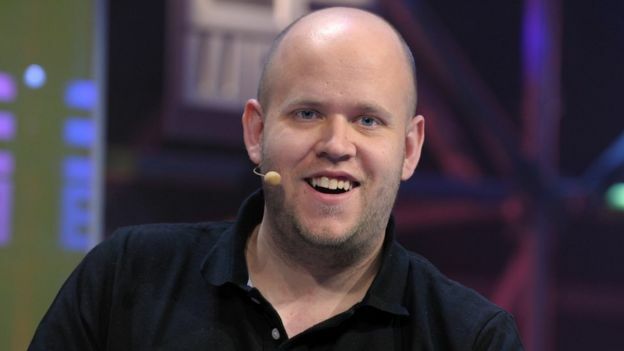 Reflecting the huge impact that Spotify has had, its chief executive, Daniel Ek, has just topped US music industry magazine Billboard’s latest Power 100 list of the biggest movers and shakers in the business. “For the first time since [former file-sharing service] Napster decimated music sales, the recorded music industry is showing signs of growth, and that reversal of fortune is largely due to one man,” Billboard said in its citation. The magazine also hailed Spotify as “the place fans discover music as well as consume it”, pointing to its promoted playlists, including its Discover Weekly service. 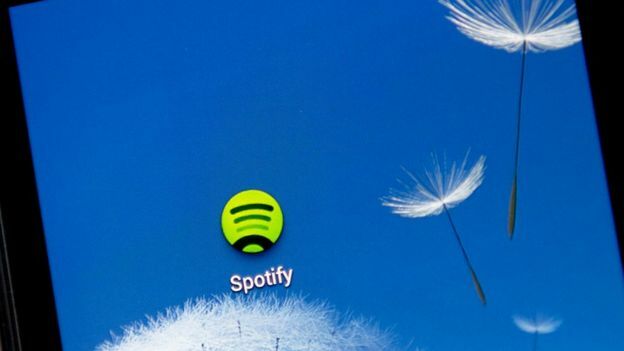 However, the clock is ticking for Spotify as it hatches its plans to go public. The firm originally planned to float this year, but according to the TechCrunch website, this could now be delayed until 2018. There are various issues behind this move, not least of which is that Spotify needs to conclude new long-term licensing deals with the big three record companies – Universal, Sony and Warner – to avoid the risk of suddenly losing major chunks of its content. It’s thought that Spotify currently pays 55% of its revenue to record labels in royalties, with additional money going to music publishers. In the interest of finally becoming a profitable company, it would like to lower that percentage, but this is unlikely to go down well with artists, who argue that the royalties they receive from streaming are unfairly low as it is. But if it waits too long before floating, it could face a serious cash crisis. In March last year, the firm raised $1bn from investors at an interest rate of 5% a year, plus a discount of 20% on shares once the initial public offering (IPO) of shares takes place. Image captionIs Spotify now too big to fail? However, under the terms of the agreement, the interest rate goes up by one percentage point and the discount by 2.5 percentage points every six months until the IPO happens. So as time goes on, Spotify must pay ever larger sums to its creditors just to settle the interest on its loan, while the amount of money it can raise from its IPO is trimmed by an ever greater amount. Unless Mr Ek can get the better of this brutal arithmetic, the future looks tough for Spotify. But at the same time, as Billboard says, “the entire music business now has an interest in its success”. “If it’s not already too big to fail, it’s headed in that direction quickly,” concludes the magazine.